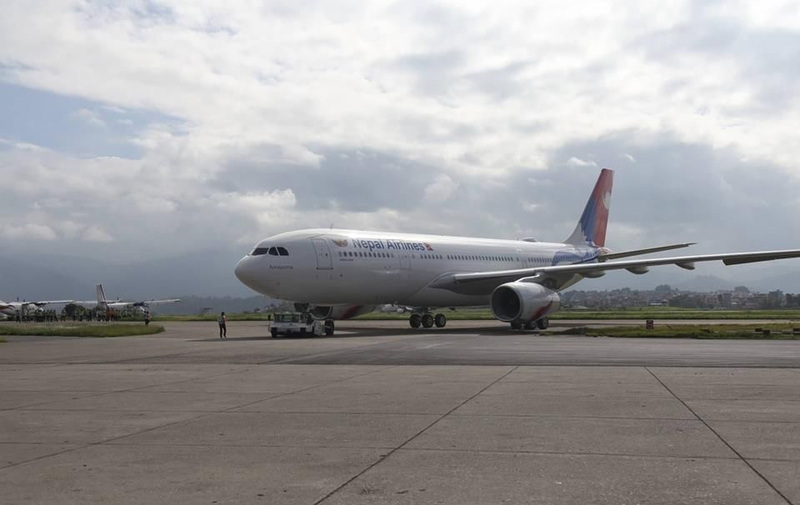 Nepal Airlines Corporation’s first long-range Airbus A330 has arrived at Tribhuvan International Airport on Thursday morning. The aircraft, named Annapurna, touched down at TIA runway at around 8:05 am. It had flown into Kathmandu from Airbus’s final assembly line in Toulouse, France. The new aircraft, powered by Rolls-Royce Trent 700 engines, features a two-class cabin configuration and seats a total of 274 passengers—18 in business class and 256 in economy class. NAC ordered two 274-seater jets through Portuguese leasing company Hi Fly. The second jet is expected to arrive by July-end. 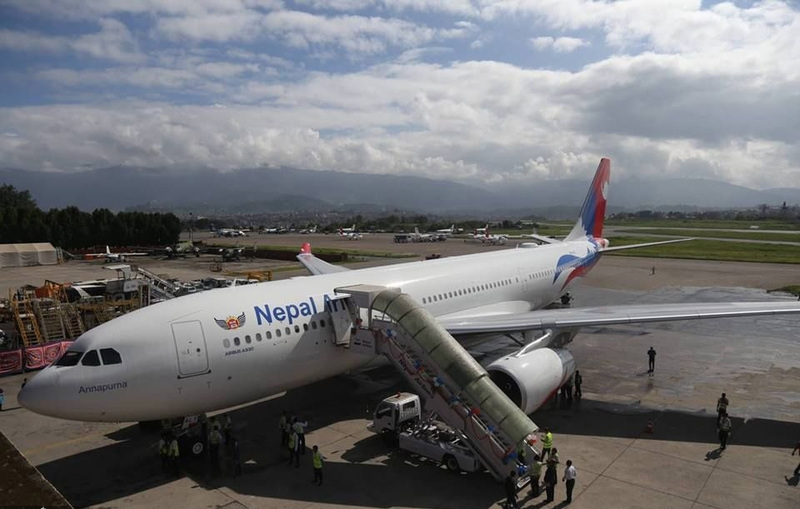 NAC plans to put the aircraft into commercial service in 15-20 days after finishing the paperwork with the Civil Aviation Authority of Nepal. It, however, will not fly on new routes immediately and instead operate on the Doha, Dubai and Bangkok sectors for at least a month. The plane will fly to Riyadh in Saudi Arabia and connect Japan and South Korea in the second phase..